This segment, from March 30, 2009, is part of our Vintage Cafe series, in which we revisit some of our best studio performances. 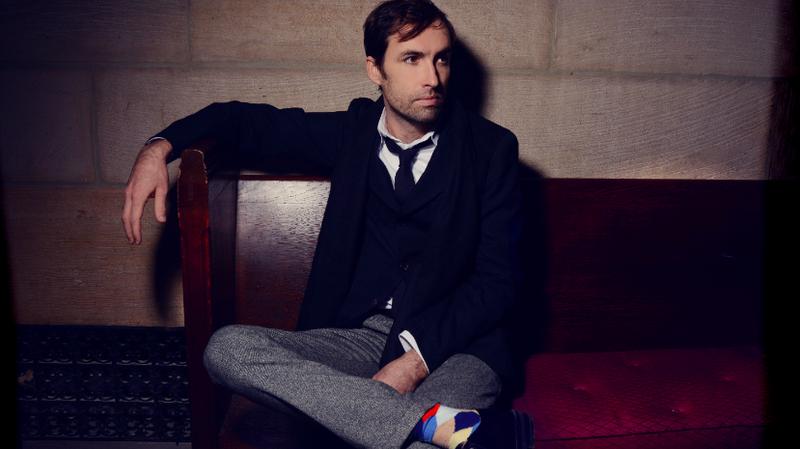 Wielding many instruments and a remarkable whistling ability, Andrew Bird has developed an offbeat marriage of classical and pop music over the course of his decade-long career. The musical polymath has never been one to limit his sound, incorporating traditional folk, swing, zydeco, rock, electronica and indie-pop into his work. Describing his new album, Noble Beast, as a less electric effort, Bird still finds value in carefully chosen words: His sophisticated lyrics read like brilliant poetry written by a romantic biologist, mathematician or historian. Here, in a session with David Dye, Bird explains how moving from the city to a farm has had a positive effect on his creative process. He also clarifies his particular use of vocabulary, including the scientifically specialized terms that frequent his lyrics.